Happy 2 days after Halloween! I hope everyone that celebrated had a safe and scary holiday?! Safe and scary, yep that makes sense. 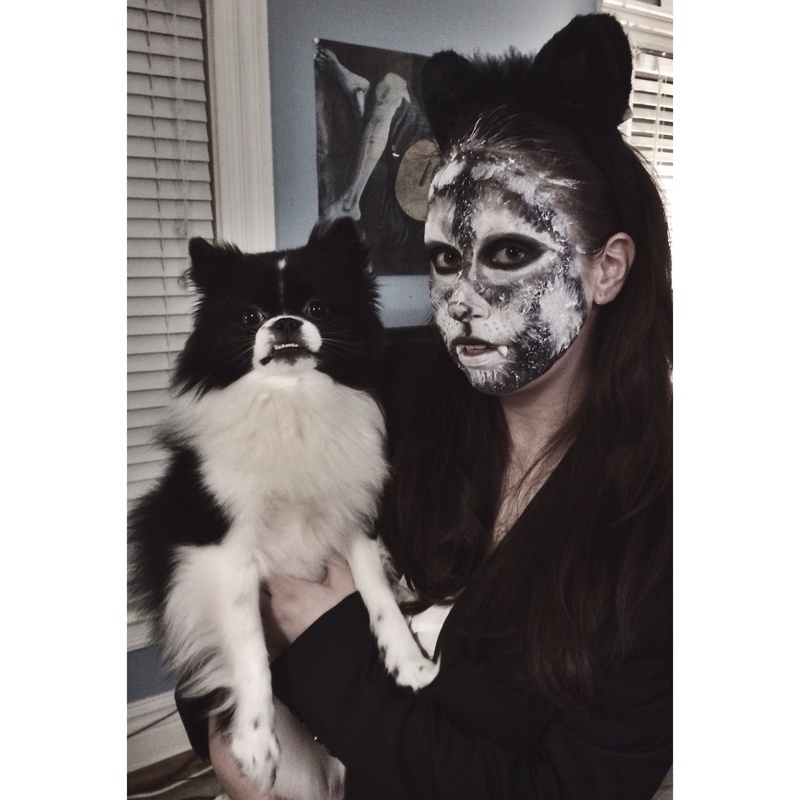 Anyway, I had fun doing this crazy wild wolf make up. Only took me about an hour while rushing! (Sheesh!) I didn’t do much on Halloween besides applying layers of black and white make up and then visiting a local bar with Dave. Oh, and I worked before all of that! It was a fun night though. I like Halloween. The next morning, already November 1st, Dave and I decided to visit Toronto! 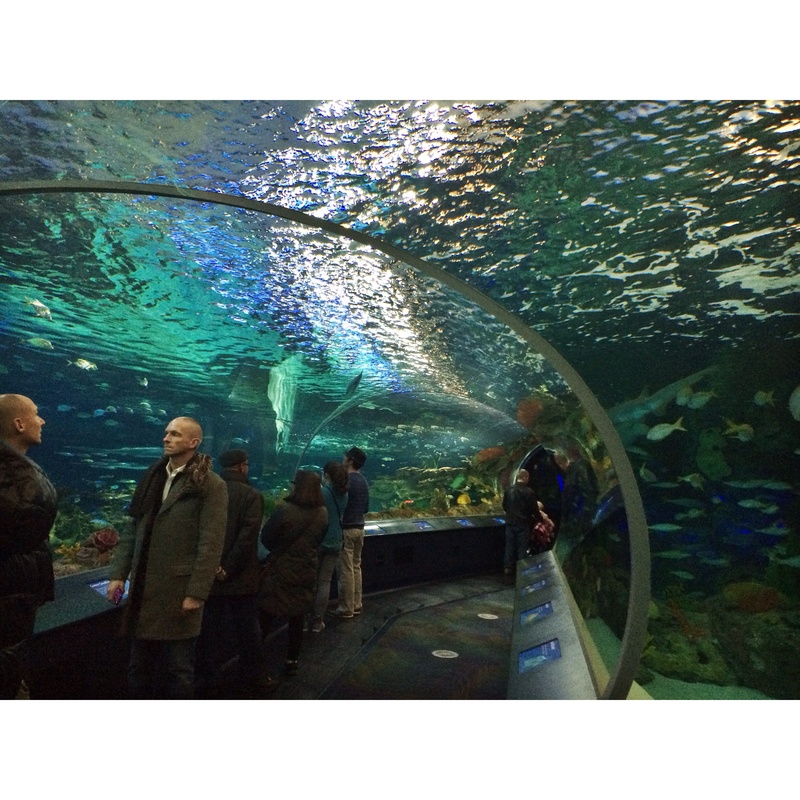 Toronto is such a short drive from where we live and we really wanted to explore and check out the brand new Ripley’s aquarium! 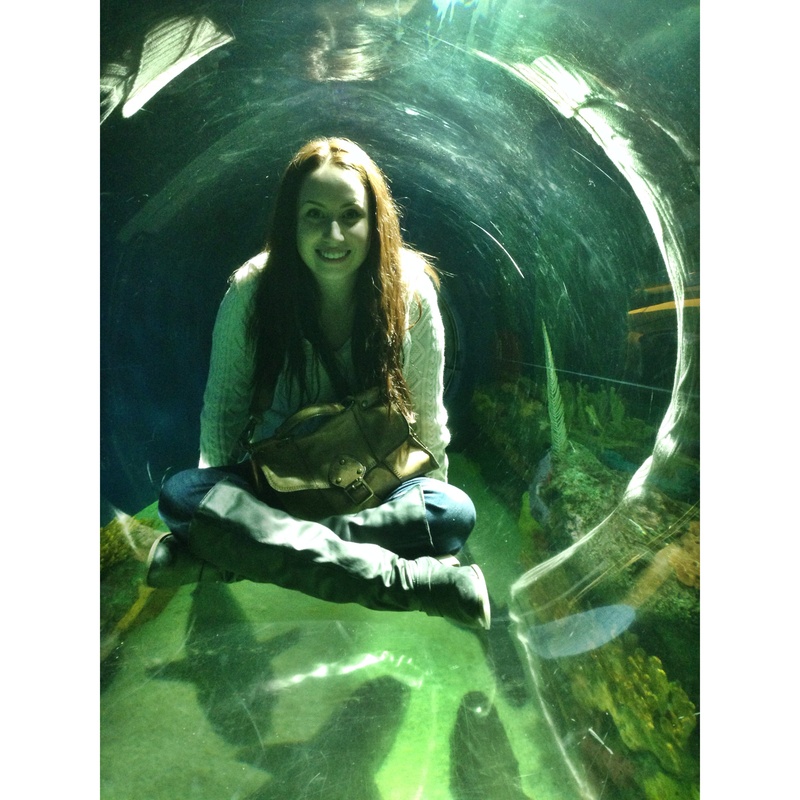 Ohhhh a day in Toronto.. So much to do! 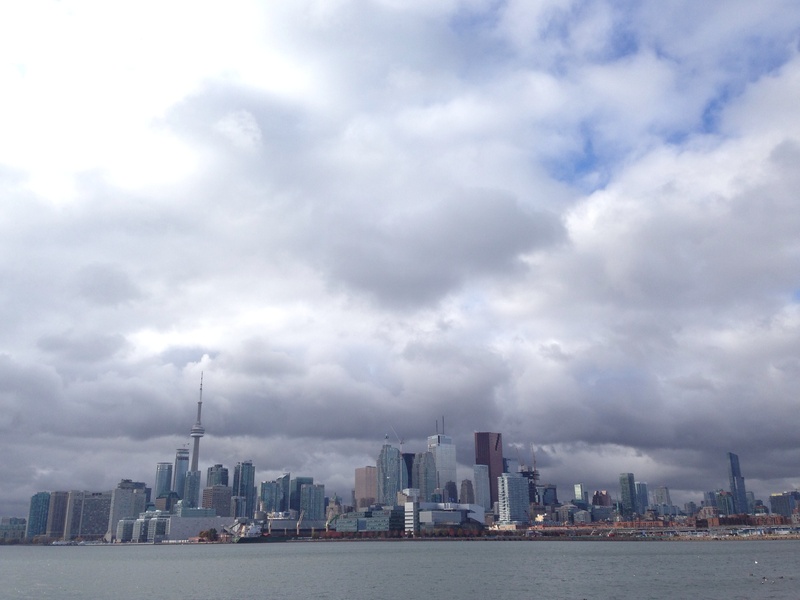 When we arrived to the city Dave suggested we visit Polson Pier. He read about this location online and it supposedly had an epic view of the Toronto skyline. And it did! (super epic!) Next, we needed to grub and maybe do a little shopping before visiting the aquarium. 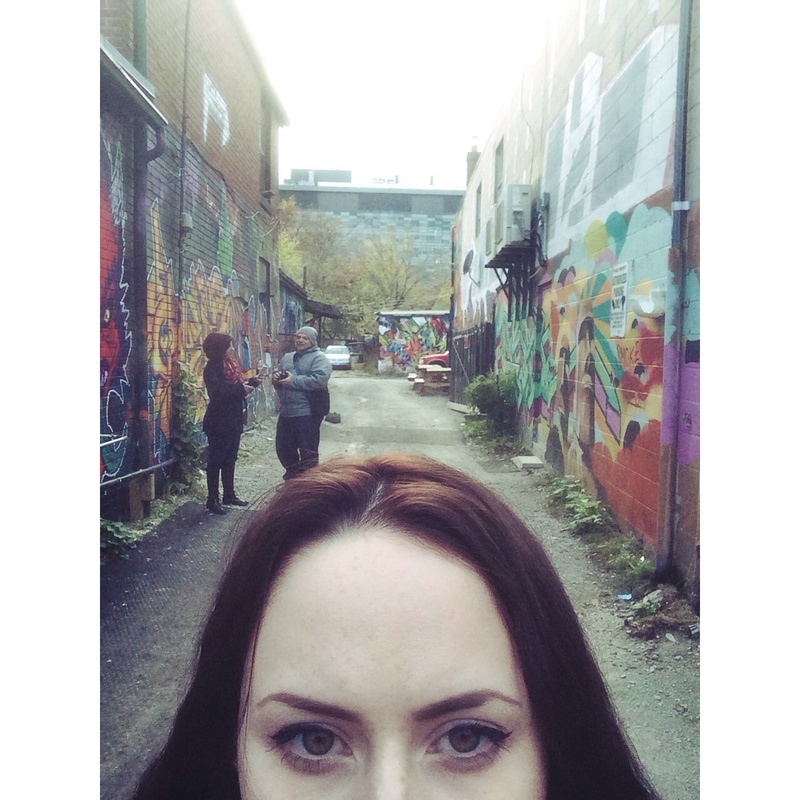 So we stopped Kensington Market, which was a favorite last time we visited Toronto. Kensington Market is a multicultural neighborhood in the city. It’s a fun place to visit, filled with tons of people, shops, food and art! 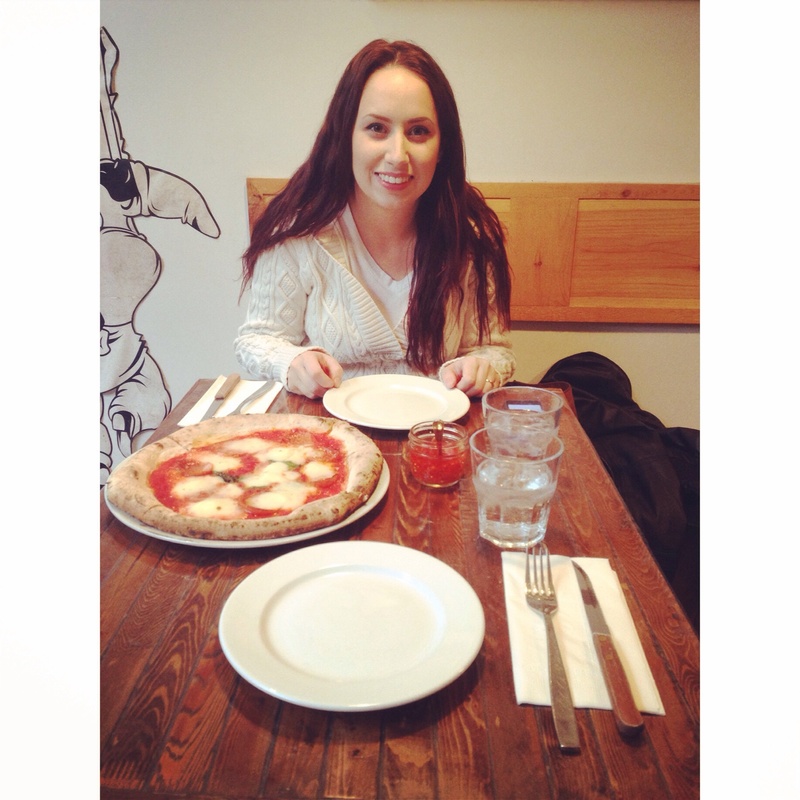 We ended up finding this simple, yet elegant Italian pizzeria/restaurant named Via Mercanti! There we ordered a small pizza to share before we went off exploring/shopping. If we had more time, I would’ve loved to check out Chinatown. Toronto’s Chinatown is probably the biggest I’ve ever been in so far. The shopping and food descend south on Spadina Avenue when leaving Kensington. After realizing it was already 5:30pm we decided to head over to Ripley’s aquarium. Online it stated that it usually closes at 11pm, which is amazing, but on the evening we decided to go they were closing at 9. (of course!) I guess there was a special event going on after 9pm. Oh well! We still had enough time. 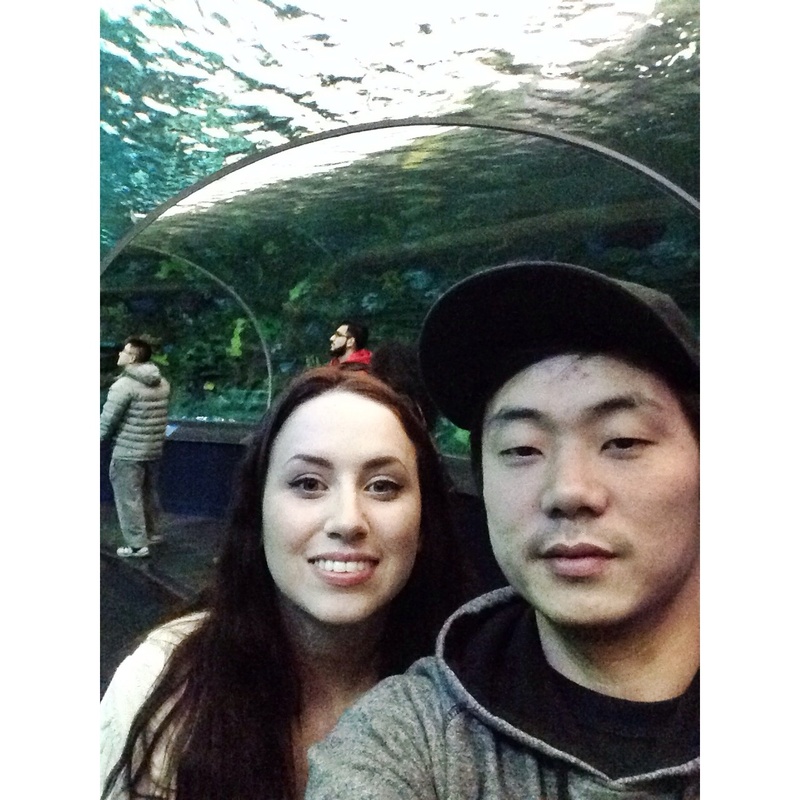 So, we made our way to the aquarium(which is located literally right next to the CN Tower, can’t miss it! ), found parking and walked up the front stairs. As soon as we walked through the front doors, we were wowed. You could tell instantly a lot of people put a lot of hard work and time to make that place that beautiful. The pictures I took do not even give this place the credit it deserves on an architectural view point. 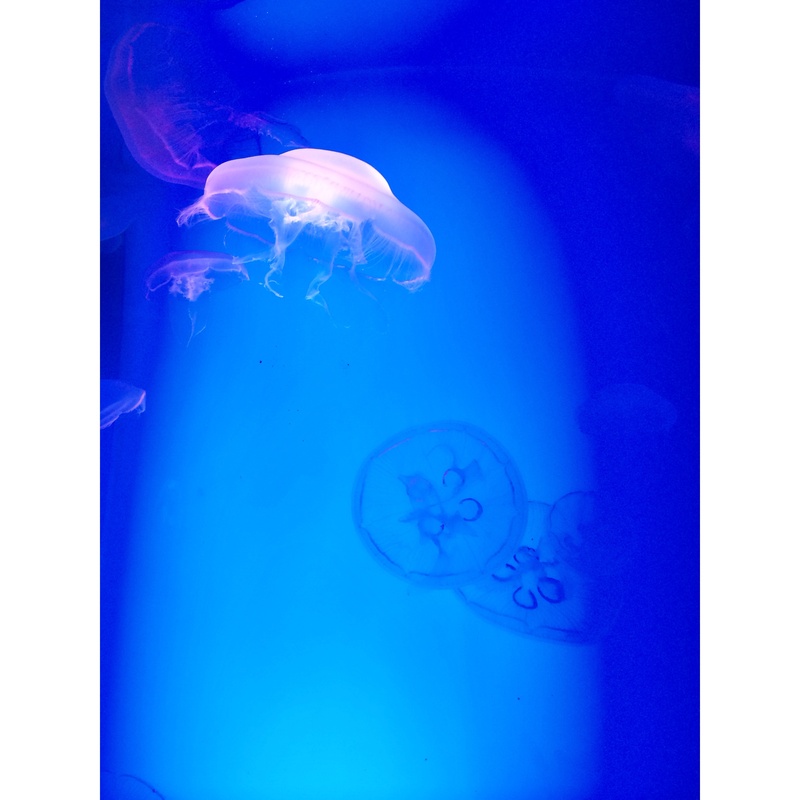 Walking though the aquarium we found many different species of sea life from jellyfish to sharks and almost everything in between. We even had a chance to pet some stingrays at the end! Toronto is a fantastic city. Every time we visit it’s always a fun time. It’s hard to believe that we live so close to such a huge city that we can just go to whenever we want. I recommend that anyone and everyone go visit your closest city. Explore, learn, grow, and take tons of pics & selfies.